In advance of the launch of our new model we wanted to introduce The Mamoni Valley (the site of our first reserves), why it is significant, the ecoReserve model and our ecological strategic contribution in the Valley. The Mamoni Valley is located in narrowest portion of the North American continent (central Panama), which separates the Atlantic and Pacific Oceans. The 28000 acre Valley is part of a world recognized biodiversity hotspot and home to a diverse range of plants and animals. In addition, it is an important migration stop-over region for many North and South American birds. For the past forty years, large areas of the valley have been deforested due to increased demands for agriculture and ranching production. Currently, the Mamoní Valley is severely fragmented and degraded which threatens the watershed and biodiversity. Biological diversity means the diversity, or variety, of plants and animals and other living things in a particular area or region. For instance, the species that inhabit Los Angeles are different from those in San Francisco, and desert plants and animals have different characteristics and needs than those in the mountains, even though some of the same species can be found in all of those areas. Biodiversity also means the number, or abundance of different species living within a particular region. Part of Mesoamerican Biological Corridor: The Mesoamerican Biological Corridor is a large habitat corridor in Mesoamerica, stretching from Mexico southeastward through most of Central America, connecting several national parks. It was started in 1998 to keep critically endangered species from going extinct. Part of Mesoamerica Biodiversity Hotspot: A biodiversity hotspot is a biogeographic region that is both a significant reservoir of biodiversity and is threatened with destruction. The Mesoamerican forests are the third largest among the world’s hotspots. Spanning most of Central America, the Mesoamerica Hotspot encompasses all subtropical and tropical ecosystems from central Mexico to the Panama Canal. This includes all of Guatemala, Belize, El Salvador, Honduras, Nicaragua, and Costa Rica, as well as a third of Mexico and nearly two-thirds of Panama. Borders Chagres National Park: Chagres National Park was established in 1985. The Chagres National Park covers 129,000 hectares and is 40 kilometers from Panama City. 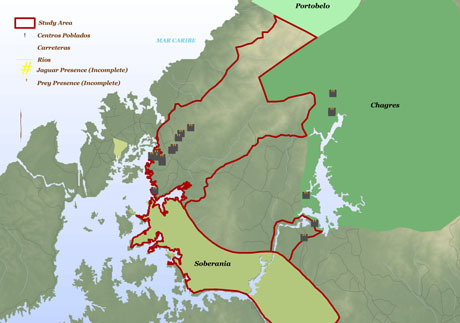 ecoReserve has developed a new model to address the negative social, economic and environmental influences impacting the Mamoní Valley. The model includes three types of reserves, conservation, reforestation and sustainable livelihoods. These reserves will successfully build a multi-faceted, ecological restoration program that increases the health of the rainforest and improves the livelihoods of the people who depend upon the land. If you sense the presence of a large cat while walking in the jungles of Panama, the elusive mountain lion (puma concolor) is probably not the first thing that comes to mind. Its secretive behavior has been a double edged sword, helping it survive the targeted predator hunts of the 19th and 20th centuries but also rendering it far less famous than its distant relative, the jaguar. Despite its relative anonymity, the mountain lion is the only other mammal which has demonstrated the same versatility as humans in conquering the American continents. Evidence of its wide range is reflected in the myriad number of names it has collected over the centuries. The mountain lion that overlooks the Canadian Rockies is the same species as the panther that wanders the jungles of Florida and the puma that scales the Andes of Peru. Once a member of a guild of large cats which included the American Lion, the American cheetah and the saber-toothed tiger, mountain lions are now the largest wild felid remaining in North America and the second largest in South America. Genetic evidence suggests that North American mountain lions went extinct along with all the other large cats at the end of the Pleistocene 10000 years ago and that North America was reconquered by mountain lions from the south. Thus, the presence of mountain lions in the United States and Canada today speaks to the importance of maintaining linkages such as the Central American Corridor between North and South America. In North America, male mountain lions weigh around 55-65 kg and females weigh about 40-45 kg. Mountain lions of the tropics tend to be smaller than their temperate counterparts, mostly likely due to environmental influences and possibly because of competition with the sympatric jaguars. Mountain lions are impressive ambush predators that can take down prey as large as a moose and as small as a mouse. 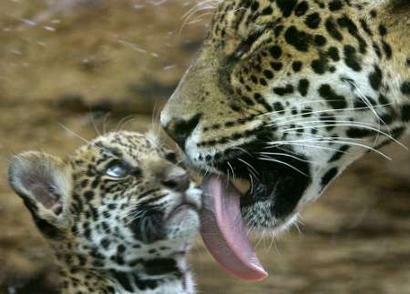 Most mountain lions, except females and their kittens, live solitary lives and on vast territories. 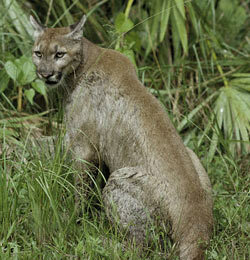 In Panama, mountain lions are currently protected from hunting are are not considered endangered by the IUCN. However, the mountain lion’s need for large areas of intact habitat, slow breeding rate, and occasional taste for livestock sometimes brings it into conflict with neighboring human populations. Additionally, large predators, due to their low densities and reliance on prey species, can often be quickly wiped out by people if they are deemed to be a threat. For these reasons, ecoReserve will promote environmental education programs in the Mamoni Valley that will help local residents learn to safely live alongside large cats such as jaguars and mountain lions. By protecting an important habitat corridor, ecoReserve will help maintain the linkage that allows mountain lions to move between the two continents. 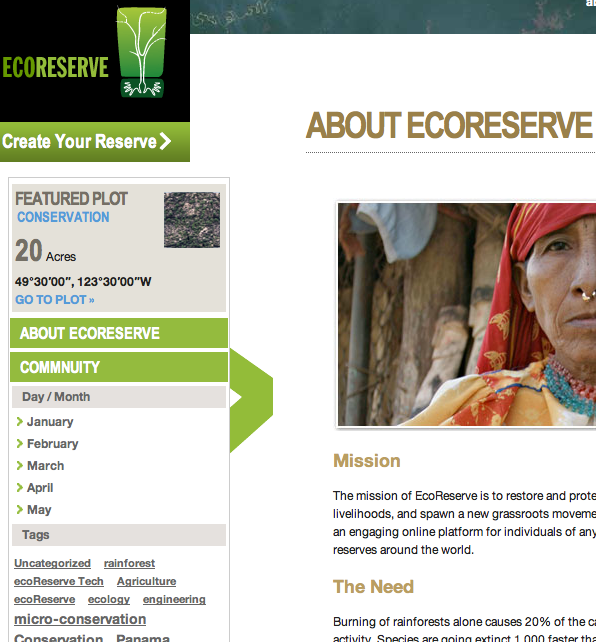 ecoReserve is an innovative organization in many ways. Not only are we launching a new model for wholesale football jerseys grassroots micro-conservation, but the organization itself is being built through grassroots volunteer support. As a result of this enthusiastic response, we have been able to build ecoReserve almost entirely with volunteers. People have pitched in with every sort of 떨거지,쓰레기, skill: engineering, marketing, fundraising, party planning, copywriting, finance, and program planning, to name a few. Our timeline is as follows: private alpha launch at end of June, beta launch over the summer, and public v.1 launch in September in time for school. Volunteer Position cheap football jerseys – ecoReserve has volunteer positions available in almost every functional area including marketing, design, engineering, finance, program planning, and legal. You may be able to work independently or as part of a volunteer team. Term: No minimum. See open positions. Executive Council – This exciting new entity is designed for highly skilled fake oakleys young professionals who aren’t ready for a board seat Ray Ban Outlet yet but are looking Fake Ray Bans to make a significant philanthropic contribution of their time and talent. Term: 2 years. Learn more. Research and help to establish creative land acquisition and conservation financing mechanisms, including Wholesale Jerseys carbon offsets, inclusion of indigenous tribes, etc. Create various agreements for land acquisitions, NGO partnership agreements, IP licensing, etc. To inquire about joining the ecoReserve Executive Council, please send your resume and a short note relaying your committee of interest and relevant skills to Tamara Pulsts, President | [email protected]. The ecoReserve Executive Council is comprised of nine committees of senior level volunteers who actively and regularly assist ecoReserve on key strategic and operational issues. The Executive Council contributes in a significant way to expanding ecoReserve’s capacity, developing best practices across our functional areas, and developing strategic partnerships in the areas of technology, marketing, fundraising, conservation science and sustainable development. Co-Chairs: Each Committee on the Executive Council has two Co-Chairs who are responsible for recruiting and managing their committee members. The Co-Chairs will coordinate with ecoReserve senior management and with their assigned Board member advisor to develop the initiatives for their committee. Committee Co-Chairs will have full responsibility and authority to implement the agreed-upon initiatives. Officers: Members of the Executive Council are referred cheap MLB Jerseys to as Officers. Requirements for Officers are to have at least three years of professional experience relating to their Committee. They must also be able to commit to attending Committee meetings and contributing in a significant way to their Committee’s initiatives over the course of their two-year term. Officers should assume a cheap China Jerseys minimum commitment of at least five hours per month. Size: Each Committee will have approximately five members, including the two Co-Chairs. The Committees are designed to facilitate high-level, professional collaboration and philanthropic achievement. Meetings: The Executive Council as a whole will meet on a quarterly basis, just prior to the ecoReserve Board of Directors quarterly meetings. Individual committees may meet on a monthly or weekly basis as needed depending on their initiatives. Committee meetings may be held at ecoReserve’s offices or via telephone or Skype. Financial: We request that Executive Council members make a charitable contribution of at least $250 per year, which can be accomplished through Jumble one contribution or multiple installments. Term: There is a two-year term for participation in the ecoReserve Executive Council, both for Co-Chairs and Officers. Click here to read detailed descriptions of the Executive Council committees. On Wednesday, in front of ecoReserve’s CEO, Colin Wiel, our President/COO, Tamara Pulsts, and our new GIS engineer, Will Cadell, I was able to show a demo build of ecoReserve’s web application, with many of the features in place for our private alpha release at the end of this month. As soon as Will has integrated the first version of the Mamoni Valley map, we’ll start extended testing on the alpha among ecoReserve staff and associates. We hope to have our public beta later this summer, and a full launch in the fall. The screen shot below is from our development server, and shows the left content drawer used for navigating through our editorial content. This blog is currently being mirrored into the live application, so that once we’re ready to show it to the world, all the content we’ve created to date will be available in the new application. Thanks to everyone on my team for their great code, and thanks to everyone else in the ecoReserve community for their support. We’re getting VERY close, and I can’t wait to share our work with you! Forests, particularly humid tropical forests, provide a number of benefits to society. They are extremely rich in biodiversity and provide important ecosystem services such as food, fibre and water regulation. Reducing Emissions from Deforestation and Forest Degradation (REDD) – is an effort to create a financial value for the carbon stored in forests, offering incentives for developing countries to reduce emissions from forested lands and invest in low-carbon paths to sustainable development. “REDD+” goes beyond deforestation and forest degradation, and includes the role of conservation, sustainable management of forests and enhancement of forest carbon stocks. In addition to its role in reducing greenhouse gas emissions, REDD provides the opportunity to safeguard these other forest values. The UN-REDD Programme recognises the importance of gaining multiple benefits from REDD, and has developed an approach to support countries in their efforts to integrate multiple benefits into their REDD planning. Building on existing experience, and working with relevant partners and stakeholders, the UN will be stepping up our work with UN-REDD pilot countries to promote understanding of the potential for achieving multiple benefits, and to provide tools and guidance to assist decision-making that will deliver these benefits through the implementation of REDD. It is predicted that financial flows for greenhouse gas emission reductions from REDD+ could reach up to US$30 billion a year. This flow of funds could reward a significant reduction of carbon emissions and could also support new, pro-poor development, help conserve biodiversity and secure vital ecosystem services.